Measuring in at 65″ by 45″, this Chevron with the flying wings in likely a double sided porcelain sign. There are mounting holes on the top and bottom edges. 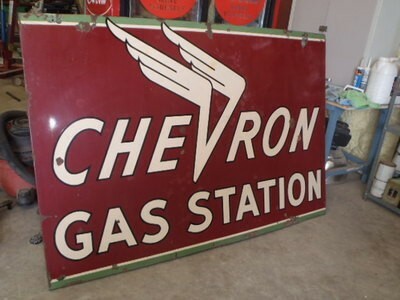 This sign has a red background and text that reads “Chevron Gas Station” in white.